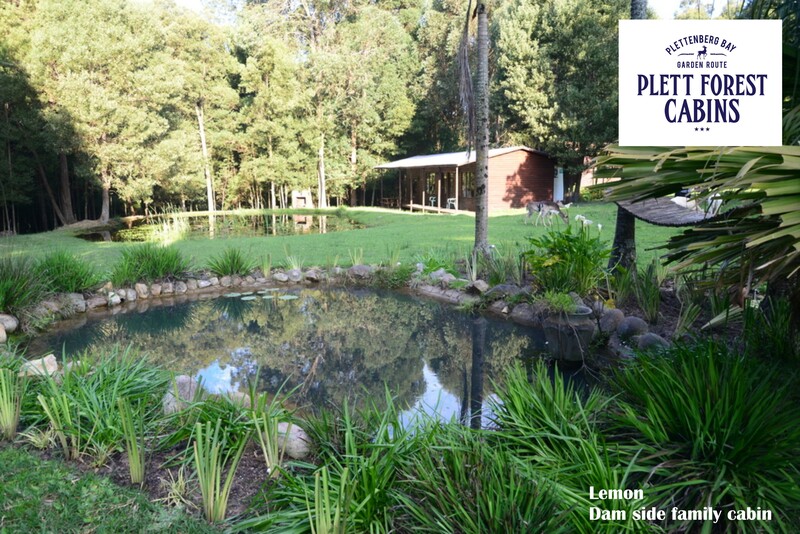 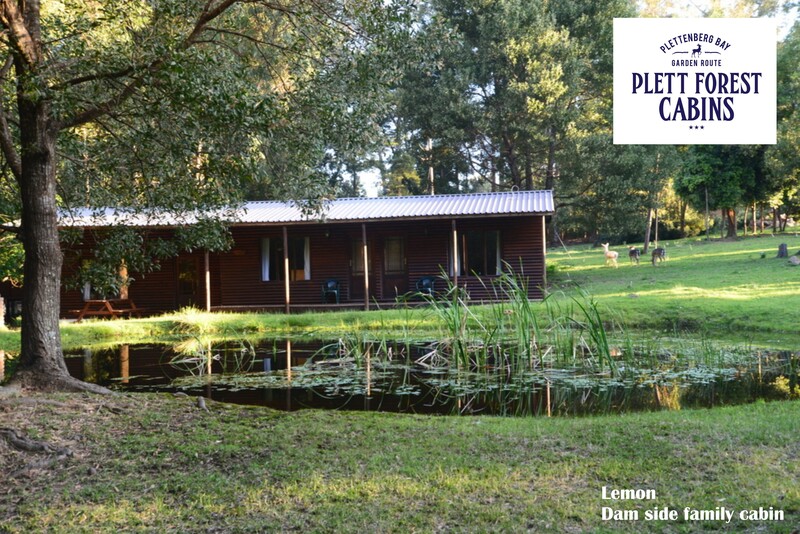 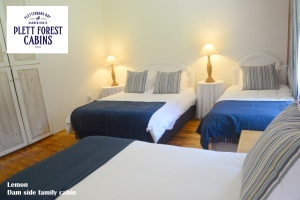 Facing the Forest and close to the pool, Lemon our private self-catering 2 bedroom cabin overlooks the dam. Each bedroom has a Queen sized bed, 1 bedroom also has 2 x single beds and the other bedroom has 1 x single bed and a full sized sleeper couch for extra guests. Each bedroom has a shower en-suite. 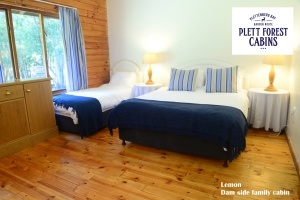 Bedding and towels provided. 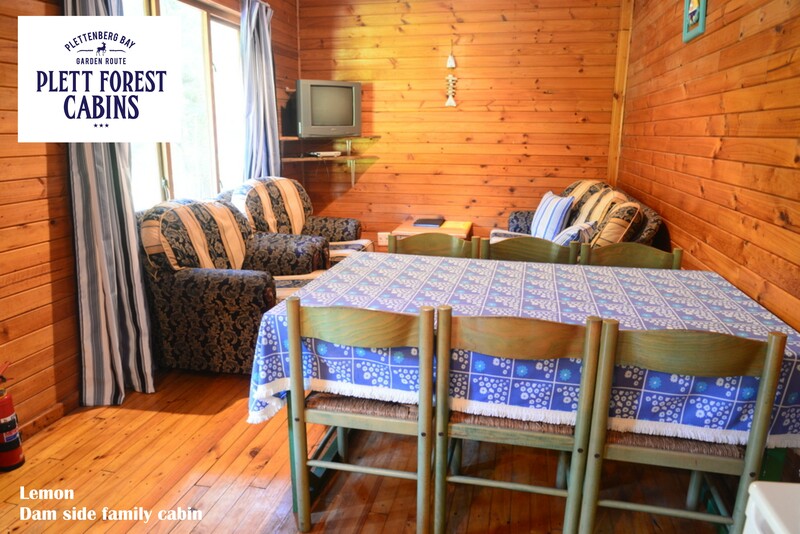 The separate kitchen and lounge area is fully equipped. All three rooms are linked by the external deck. 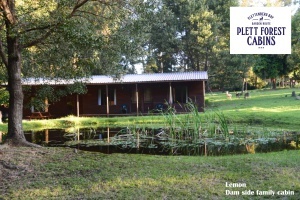 The deck has extra seating and outdoor braai facilities are provided.